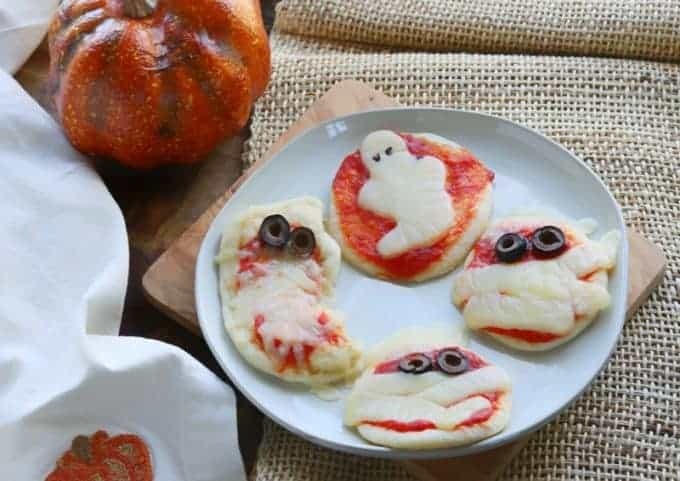 This Halloween surprise your kids with a delicious Healthy Mummy recipe or a Pizza Halloween Ghost! 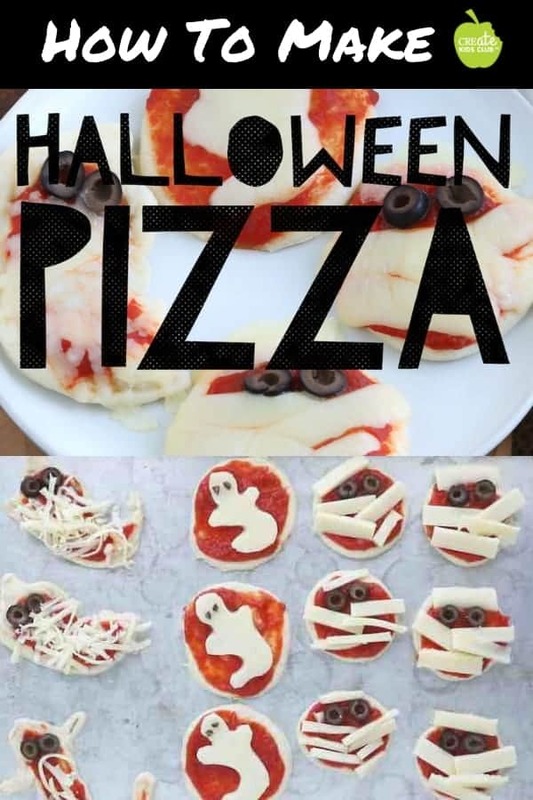 Keep reading to find fun Halloween pizza ideas that are simple to make and kids will love! As cool weather hits, leaves change colors, and houses everywhere have pumpkins on their porches, you know it’s heading towards Halloween! We have a tradition at my house that I think your family will enjoy as well – pizza Halloween mummies. We’ve been making these for years and I’m going to share with you the simple steps to make them at your house this year. 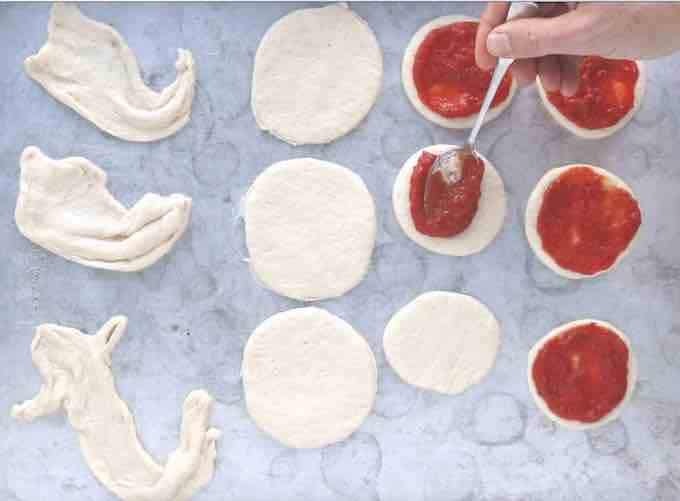 Use a cup or cookie cutters to cut round shapes out of the pizza dough. Use different sizes if desired. 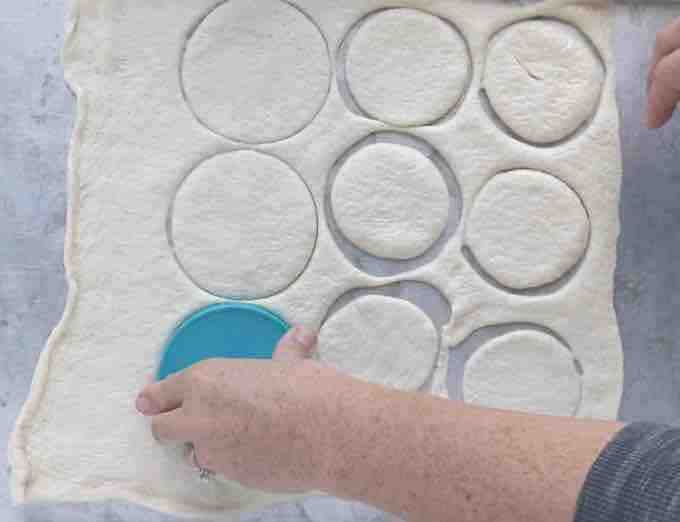 Remove excess dough from the tray. You can make fun shapes out of the scraps, like these ghosts. Next, top with pizza sauce or your favorite marinara sauce. Use olives and mozzarella cheese to create mummy pizza. To make the cheese ghosts, slice a piece of mozzarella cheese. Use a pairing knife to curve the head and arms then the body. I am not artistic at all, so if I can do these, you can too! Want to get even more creative? Set out chopped veggies such as peppers, green olives, or tomatoes and let your kids make their own spooky creation! Bake Halloween Pizza for 8 – 10 minutes. Serve right away. Kitchen Tip: Don’t have pizza dough? Use English muffins, bagels, naan, or a slice of bread would work too! 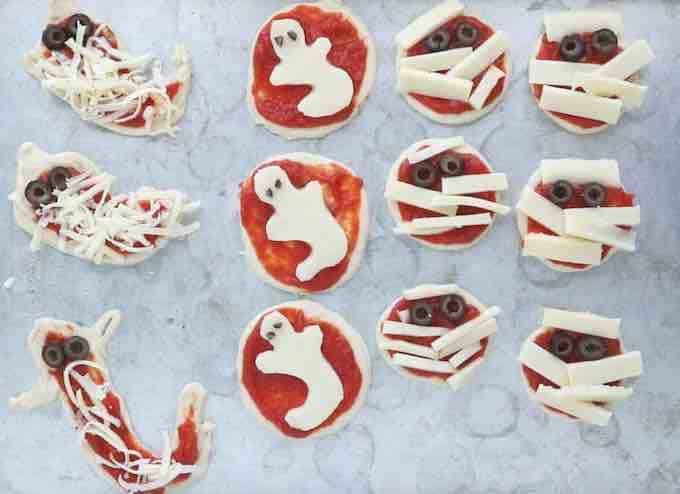 Watch this simple yet spooky video to see exactly how to make these Halloween pizza ideas! Fun and healthy Halloween pizza ideas that are simple to make! Surprise your kids with this fun Halloween meal! Want more Halloween Recipe Ideas? Click here! For side dish ideas that would go great with these pizzas try Roasted Butternut Squash with Brown Sugar or Baked Zucchini Crisps! Thanks for the simple instructions! Looking forward to making these with my kids this year.